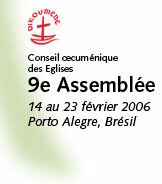 While the number of official delegates to the Assembly was relatively small (less than 800), the Mutirão enabled much broader participation in the life of the ecumenical movement. Mutirão is a Brazilian word and concept that roughly translates as "coming together to make a difference". As an integral part of the Assembly, the Mutirão provided a space for workshops, celebrations, seminars and exhibits for the whole Assembly community. 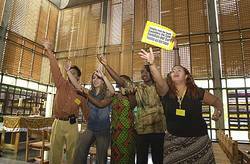 The Mutirão was a dynamic platform open to any person, congregation or organization wishing to accompany the Assembly in a spirit of ecumenical sharing, celebration and formation. 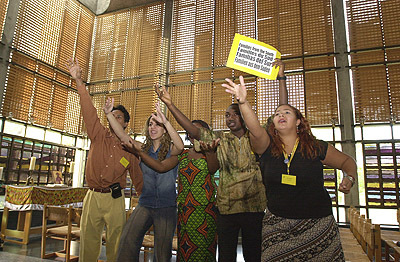 Mutirão was an important, creative and participatory opportunity for young participants to be exposed to ecumenism and to shape the ecumenical movement. For more information about the Mutirão click here.